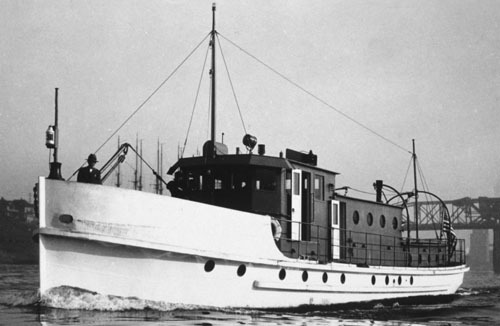 Characteristics: Diesel-engined, built in Portland, Oregon 1929, 77ft long x 15ft beam x 7ft draft. Log Period and Areas of Service: 1929-1946, Pacific coast, Alaskan waters. Surveying along US West Coast and Alaskan waters.